Next level toughness from Steph Chung. 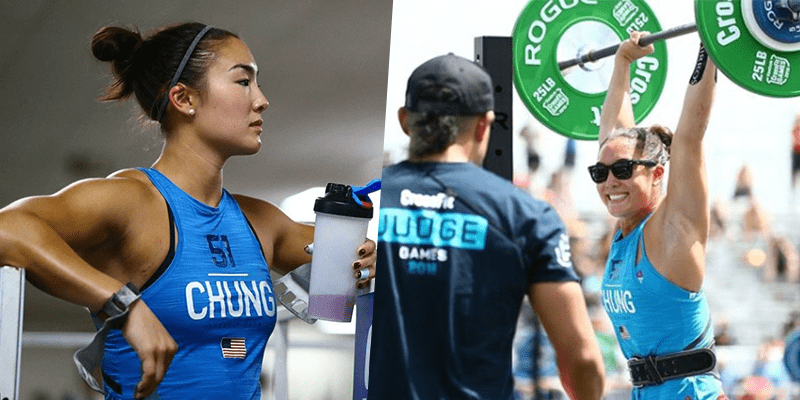 CrossFit Games Rookie Steph Chung completed the entire 2018 CrossFit Games with a broken ankle, she revealed to BOXROX in an exclusive interview that will be published in full in the next few days. Here is a snippet from the soon to be published interview. Steph, How was your experience of your rookie CrossFit Games? It was phenomenal! Competing on that stage, against forty of the fittest women in the world, was the experience of a lifetime. I can’t imagine a more inspiring group against whom to test myself. Unfortunately, I broke my ankle in training two weeks before the Games, so some of the workouts required more of a survival strategy than a competitive one. Nonetheless, I learned so much and came away with the motivation and hunger to get fitter. What was the first day like and how hard was it to recover from the events? I think everyone was mentally prepared for a really tough day of competition, so for me it was all about taking one event at a time. I crashed hard on the Crit to start the day, so there was some discomfort from the bruises and scrapes but I was mentally relieved to finish that event. Recovering after the muscle ups and CrossFit Total was relatively straightforward, but the row was exactly as uncomfortable as I expected it to be. When I finished and stood up after rowing for almost three and a half hours, my legs started to shake and I was unsure if I’d be able to walk. Bending over was definitely out of the question – some very kind volunteers had to pick up my belongings and help me off the floor! Wednesday night was pretty painful, so I slept with the MarcPro on my legs all night. I was really grateful for a rest day on Thursday! We did a lot of recovery and easy movement, and I felt lots better by Friday morning.